It’s not unusual for me to take a somewhat circuitous route to working through my posts. Thinking it through in my head, musing internally before putting the thoughts in print. Earlier, I was cleaning the house in preparation for an extended weekend visit from one of my daughters who was bringing along her new beau. (Aside: Cleaning is great for writing ideas. Manual labor – no concentration needed, just simple physical effort freeing the mind to wonder and wander. Walking is another great idea generating activity). With very little effort, my mind wandered into wondering if this new beau (we’ll call him B for Beau) might want to talk to me about his future with my daughter (we’ll call her D4 for fourth daughter). AND B is planning to accompany D4 on her Thanksgiving trip to see her Dad next month. Was this all coincidental or was B thinking of asking for a lifetime commitment from D4 and hoping to seek her parents’ permission before asking D herself? I like B, he seems a gentleman, is a considerate person, hard-working, intelligent, financially savvy, and most importantly – he adores D4. It got me thinking, is this something young people still do now-a-days? I did a bit of internet research just to see what might be out there, and there are plenty of sites that provide the history behind this practice and tell where it is still considered a ‘necessary’ facet of premarital protocol. Most sites say it is a nice thing to do (article link), shows the future in-laws that you are a man of honor, and others say it is quite an antiquated practice. ‘“The custom today is that the two principals make up their minds first, and the bride tells her parents about the engagement afterward,” wrote the exquisite Millicent Fenwick in the 1948 edition of Vogue’s Book of Etiquette’ (see article here). With the increase in blended families, does the young man in question have to request the blessing from both parents even though they may be in different geographic locations and at different levels of interaction with their intended? What if the parents say NO!?!? Personally, I like it. I think it does speak well for the young man. I wouldn’t hold it against someone if they didn’t do it, and yet my appreciation for those that honor the family of the bride in such a manner does earn one some bonus points (so maybe technically I do hold it against non-participants). Societies and cultures change continuously resulting in social traditions getting lost and new ones taking hold. This musing made me wonder about what other traditions are still being honored and those that have fallen by the wayside. 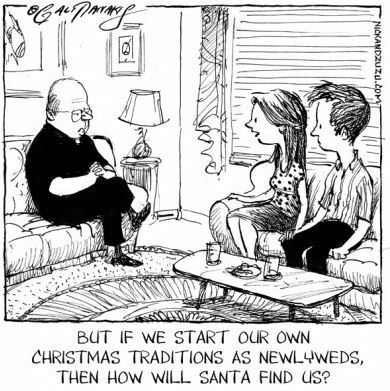 Many of us have holiday traditions and some unique family traditions, but what about social traditions that would be familiar outside of the family? 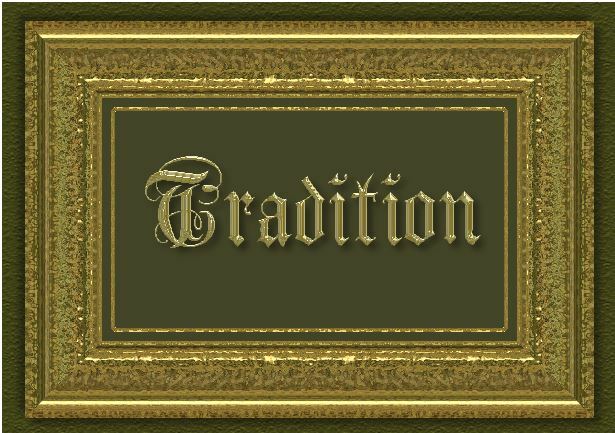 What traditions do you feel may – or may not – still be valuable?